Featuring a newly developed Racing Orange body paint! Three decades after the 1989 Chicago Motor Show was the stage for the debut of the original MX-5, Mazda has today unveiled the MX-5 30th Anniversary Edition at the 2019 Chicago Motor Show, which runs until 18th February. 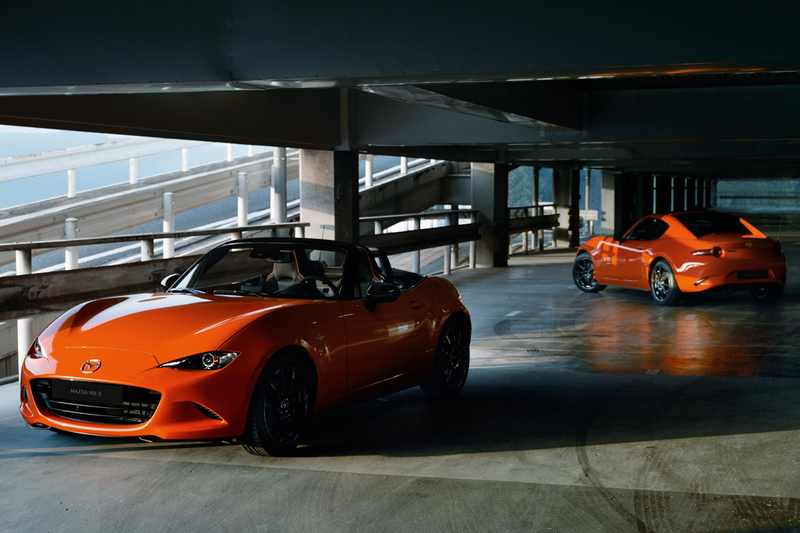 Just 3,000 cars will be produced globally, and fittingly for one of the world’s biggest MX-5 markets, the UK will receive 600 – 400 convertible and 200 RF.